Lots of mixed emotions today. First, we are sad to be working our way back to Florida, bringing a conclusion to our Bahamas adventure. But at the same time excited to get back and shift our focus to the completion of our Nordhavn. And, sad to begin the process of saying good bye to Tanglewood II, our Grand Banks Europe 47 which has taken us on so many adventures over the 4 seasons we have had her. But excited because this also marks the transition to our new boat and a whole new set of adventures beginning on the west coast. Today's big milestone is that Tanglewood II is now offically listed for sale. 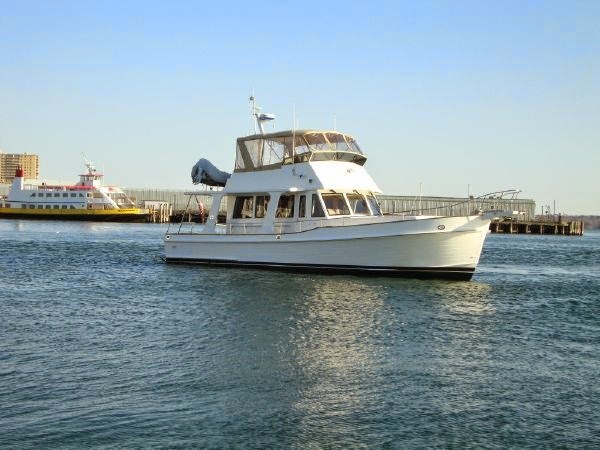 Tanglewood II listing (2009 Grand Banks Europa 47) I'm sure she will find a good home, and bring lots of joy and adventure to her next owners.